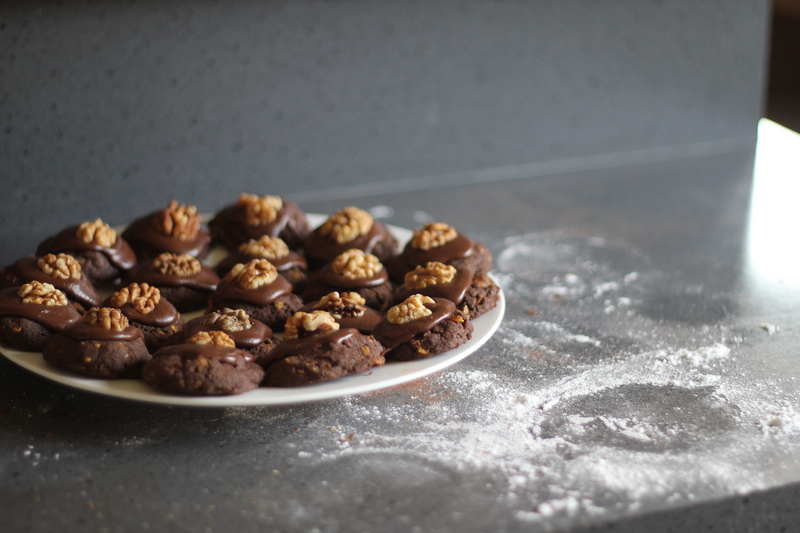 On Friday morning I set out to bake brownies for The Sisterhood Ninja Bake 2013, using this no-fail brownie recipe. Except…I didn’t have enough eggs. Oh. I really didn’t want to take the boys to the supermarket for the sake of one egg, so went back to my recipe books. There was a can of condensed milk in the pantry, and I was dying to try making Tim Tam Truffles, but didn’t want to grab a teaspoon and eat waste the rest of the can, so decided on chocolate chip cookies as well. While the cookies baked, I experimented with the truffle mixture: one-and-a-half packets of Tim Tams in the food processor with three-quarters of a can of condensed milk, plus three vanilla wines to help with the texture. 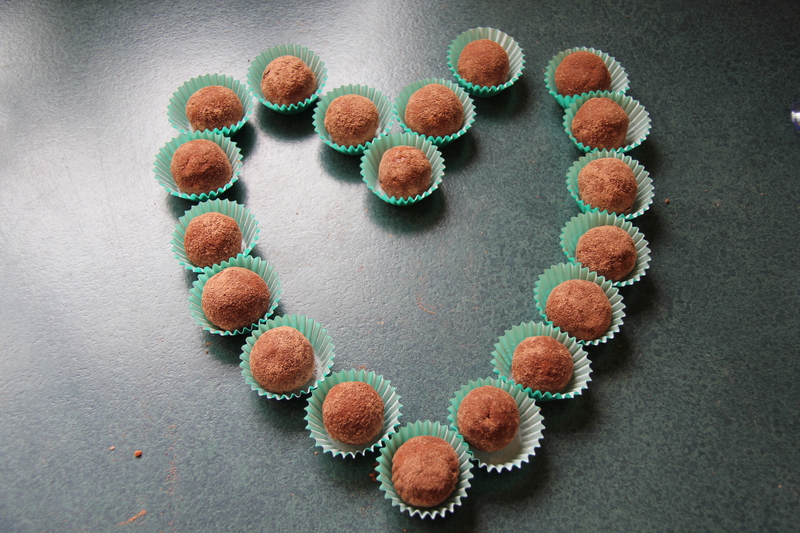 While the cookies cooled, I rolled the truffles into balls and coated them in finely-grated dark chocolate. A few pieces of biscuit hadn’t been crushed sufficiently, so I really had to do a bit of sampling along the way. 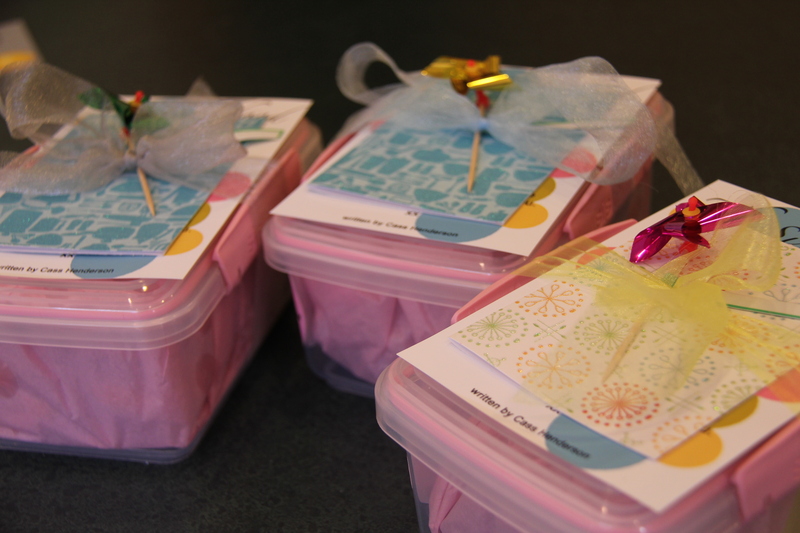 When the cookies and the truffles were ready, they went into pink-paper-lined pink containers (double feel good factor: baking treats for strangers and using containers where a portion of the sales go towards breast cancer research! 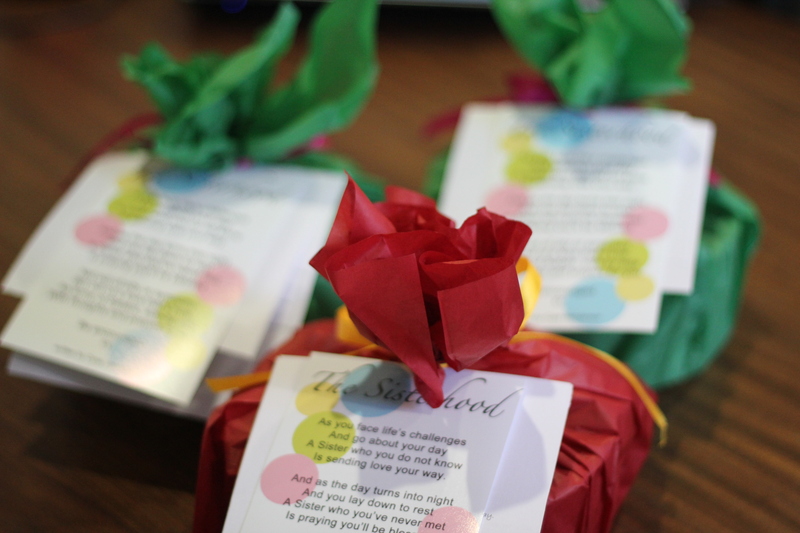 ), tied with ribbons to secure The Sisterhood poems, little cards, and pinwheels bearing the recipients’ names. Next morning, dressed and hooded in black, I set out on my stealth mission. The first drop was less than a five-minute drive from home; into the letterbox with one box of treats. The second drop was a little further away; the curtains were drawn so I got bold and dropped a box on the front doorstep, even stopping to take a cheeky photo. 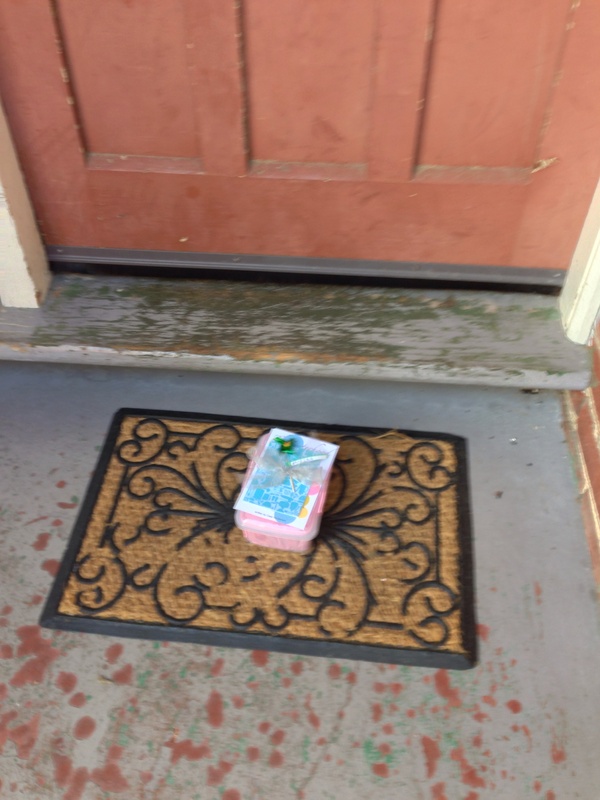 The third drop was across the other side of town; I had this feeling I’d be seen if I attempted to open the gate (it had a squeaky look about it), so the box joined the day’s newspaper in the letterbox. Job done; all treats delivered, hopefully discovered in time for a lazy Saturday morning cuppa. Just like last year, I returned home feeling good. Feeling better than good – feeling awesome. Feeling awesome about a successful ninja mission and being part of something so super-cool. Have you entered my GIVEAWAY for a gorgeous Rudi by Em cushion cover? ~ since almost losing my engagement ring last year while pregnant with Pickle, I have been wearing it inside my wedding band. I could probably swap them around again, but when I try, it just doesn’t look right anymore. It’s also still loose, and I’m still scared of losing it again. ~ The Sisterhood are having another Ninja Bake! 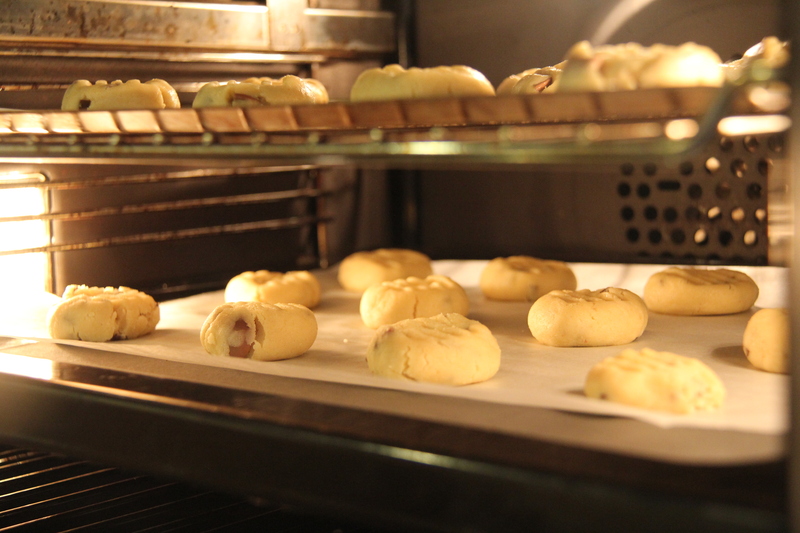 It’s in October, and registrations are now being taken for stealth bakers. Last year’s stealth mission was SO MUCH FUN, and I can’t wait to do it again – why not join me in spreading some deliciously baked love??! ~ for a few weeks, I carried a thank you card around in my nappy bag, intending to drop it off to a friend one afternoon while Pickle slept in the car. It migrated out of my bag, and onto the bench, then onto the mantlepiece because said-friend was coming to visit. Two weeks later…it’s still sitting on the mantlepiece and I’m now wondering if we’ve gone past the point of no return?? It’s for Pickle’s birthday…which was two-and-a-half months ago…. ~ when I was little, I once commented (after reading the racing results in the local paper, for some reason) at the breakfast table, “Gee, Quinella and Trifecta win a lot of races, don’t they?” I think I’ll be keeping that one from my racehorse trainer father-in-law! ~ Pickle is finally unswaddled, hurrah!! I tried three or four times unsuccessfully, but a couple of weeks ago, when I tried, he was obviously ready. He’s still a rubbish sleeper, and currently spends the night in bed with us, but we both sleep better when he’s snuggled in beside me. He does, however, hate the sleeping bag, so I’m glad we’re coming into warmer weather. ~ I love spring. My hayfever does not. ~ eating dinner on Tuesday night, Tiny suddenly asked, “Mum, what animal does pineapple come out of?” Tall and I almost choked; out of the mouths of babes, huh?! ~ I’ve been nominated for the Munch Awards Best Kids Food Blog; voting commences 4 October so keep an eye out for the link and vote for me, if you wanna. On Saturday, we joined loads of other Sisters in being intentionally kind in our community. 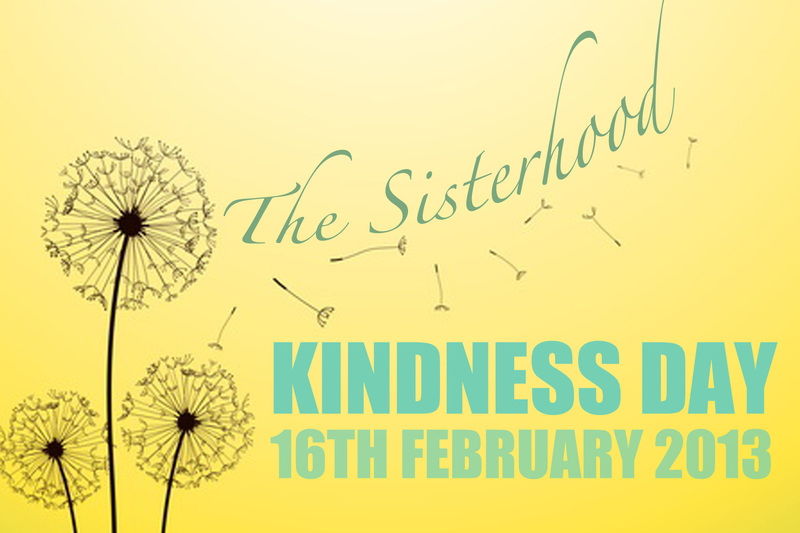 If you haven’t already, read about The Sisterhood‘s National Kindness Day, and visit The Sisterhood’s Facebook page to be inspired by what others got up to. My grand plans for Kindness Day were halted somewhat by a sad little Pickle-shaped panda, who was struggling with a pesky tooth and a developing cold. 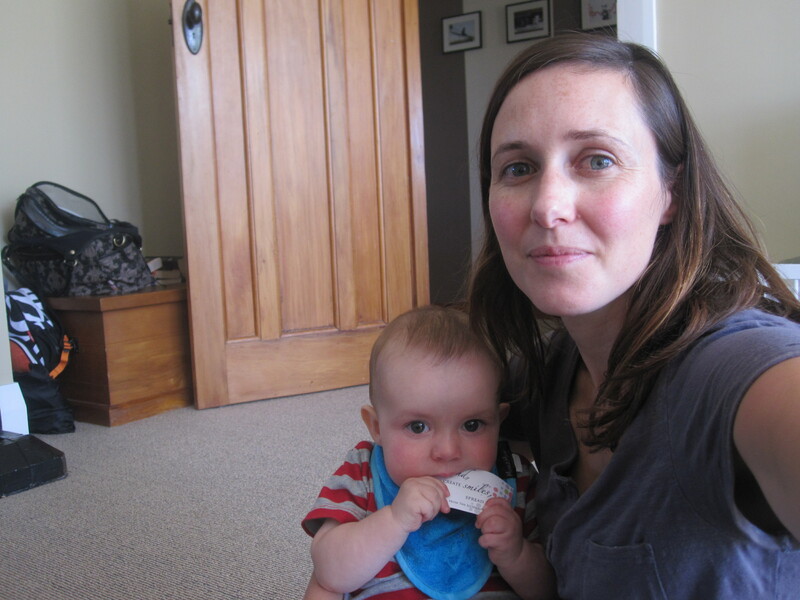 I was hoping to bake for new mums, and join 13 other Dunedin mums in spreading some love in the local maternity unit, but my arms were full of baby, which made it a bit tough to bake. I was feeling a bit fretful, until the lovely woman coordinating the drop reminded me that I needed to be kind to myself, too. So I stopped worrying about what I couldn’t do, and turned my attention to what I could do. 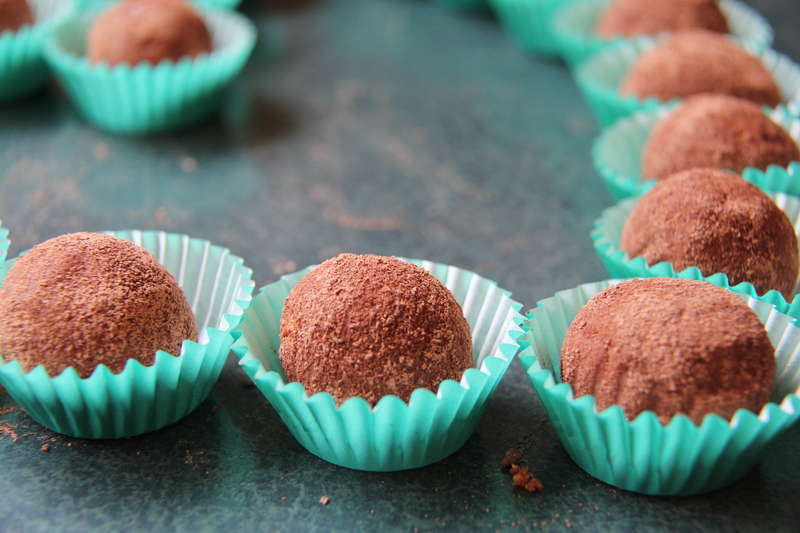 Before Tall headed off to play cricket, I whipped up a batch of chocolate fudge – a mighty good work out for the arms! – and nipped to the supermarket for wrapped chocolates. 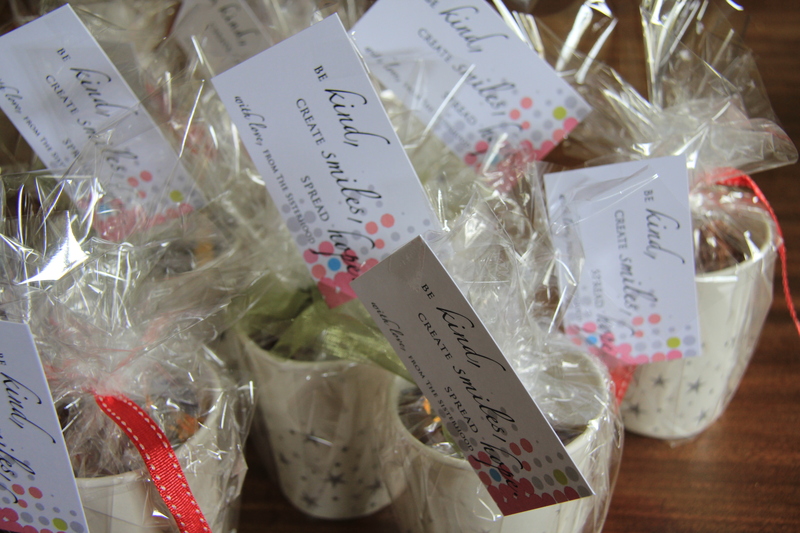 In little paper cups, wrapped in cellophane and tied with a bow, they became a sweet-looking little treat. Knowing that I’d need to do my drops while Pickle slept in the car, I packed a bag of kindness, hustled the boys into the car and set out. With no plan, just a desire to get Pickle sleeping. The plan would hopefully come later. 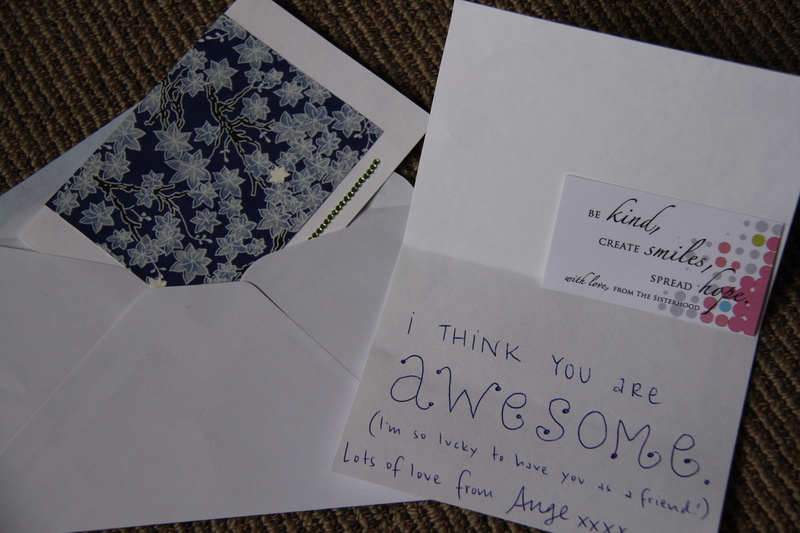 On Thursday, I sent a card to a friend, with a simple message, and also sent a little something to another friend to help fund her crafting habit. I suspect that I was a little late with my posting, and they might not have arrived in time, but the thought was still there! We dropped some chocolate and a nice bar of baby soap in the letterbox of a young family up the road; I don’t know them, but know of them, and it felt nice to do something quite anonymous but knowingly useful. and accosted a woman hard at work in her garden, handing over more chocolatey treats. She was so surprised, but really grateful, and it made me smile knowing she’d be enjoying a well-deserved Crunchie bar or two for afternoon tea. 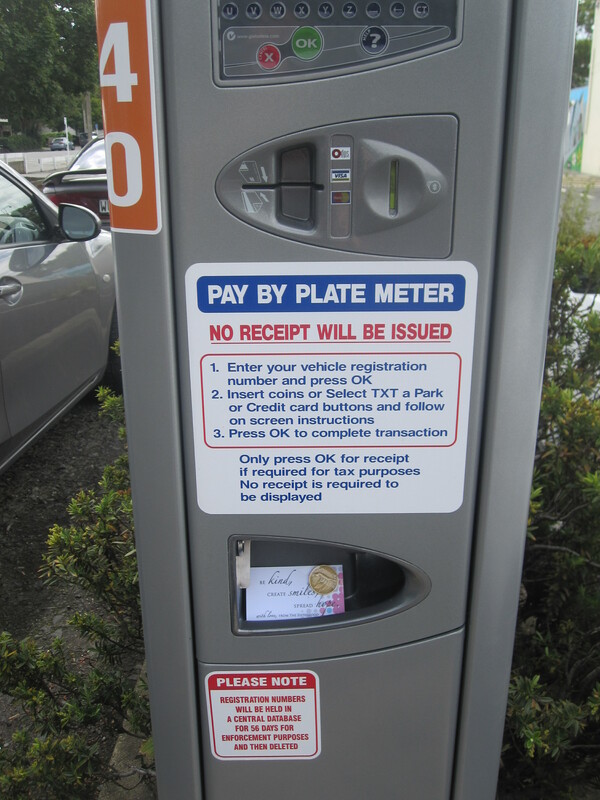 We dropped jars of homemade coriander spice rub in the letterboxes of friends, and left an hour’s parking in a few of the meters down by the hospital. I timed this drop to coincide with the maternity ward visiting hours, and we did a couple of sneaky laps of the car park to see people finding the coins. Lastly, we stopped at the local fire station and dropped chocolates off for the firemen. This was my favourite drop of the day, mostly because of the joy Tiny got from this experience. He gave the fireman the chocolates and they had a big chat. 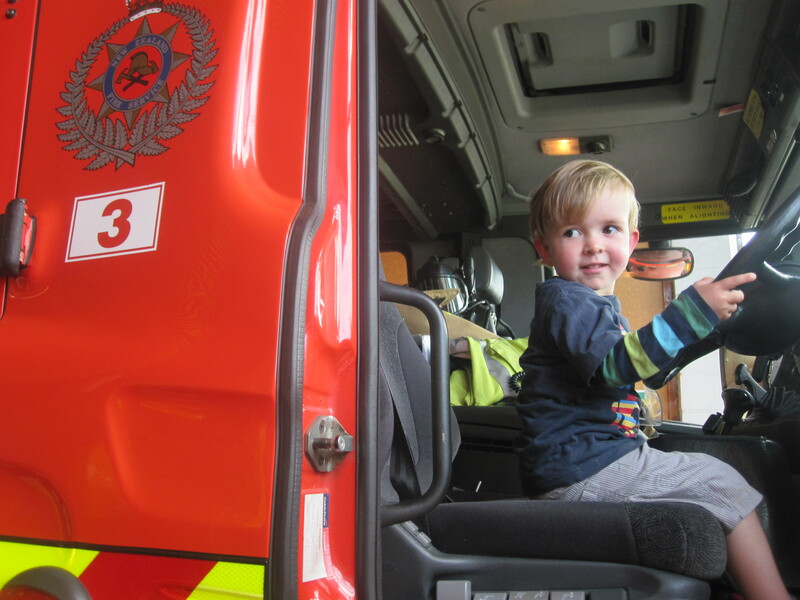 When he was asked if he’d like to sit in the fire engine, Tiny’s eyes widened. When he was asked if he’d like to “drive” the engine, his jaw dropped. And when the fireman gave him a cap, he just about burst with excitement. When I thanked the fireman, he said, “One good turn deserves another”, and I left with a huge smile on my face and in my heart. That was what this was all about: kindness begetting kindness. Showing people that they are cared about, loved, appreciated. Little gestures with big outcomes. While I didn’t accomplish everything I set out to, it still felt amazing to be part of such a special event. Seeing what other people got up to throughout the day was wonderful, and I’m excited by the possibilities for future (personal or national) Kindness Days. Somewhere along the way, I started to use the word “kind” instead of “nice” when it came to Tiny’s behaviour towards other people. It made more sense to me to instil the idea of kindness at an early age, to label a behaviour in this way, to encourage thoughts of how our actions might affect others, instead of labelling actions as “naughty” or “nice”. For example, when he takes a toy off another child – most often, his baby brother – we talk about it being unkind, and about how it makes him feel when that happens to him. He gets it, even if it doesn’t stop the behaviour…he’s not quite three, afterall. 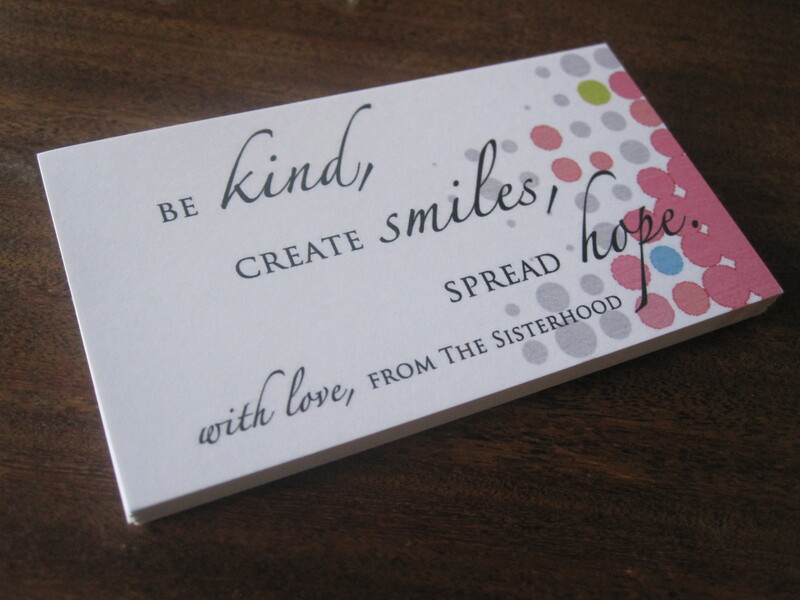 This coming Saturday, February 16th, is The Sisterhood’s National KINDNESS Day. 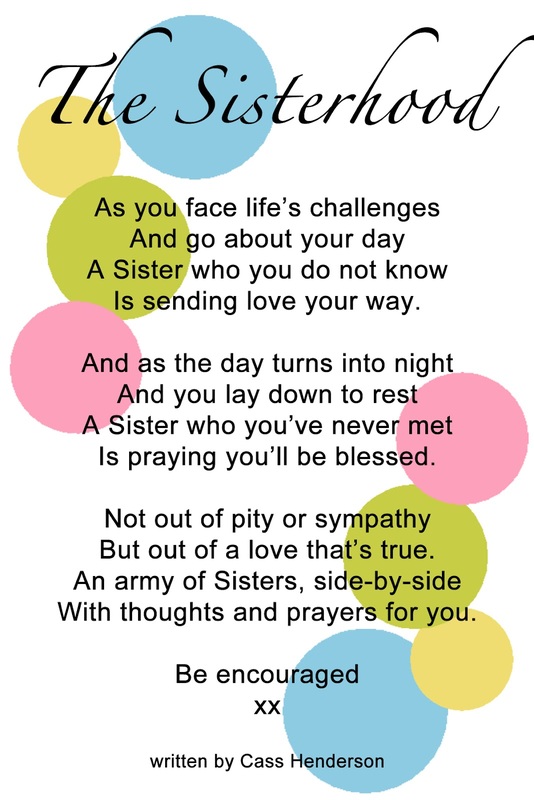 Sisters all over the country will be doing random, and not-so-random acts of kindness for friends, families, strangers. I plan on taking my boys with me when I drop my kindness bombs on unsuspecting Dunedinites. I want Tiny to see how good it feels doing things for other people. I want him to see that we don’t always need or get recognition for being kind, and that good deeds and gratitude comes in all forms. I want him to begin to understand that sometimes, we do things because it is GOOD and KIND and DECENT, and that everyone has the capacity to be good and kind and decent. He’s going to help me bake for other people, and make a delivery to the local maternity ward. He’s helped me choose some treats for random sharing, and will come with me on all my missions. He won’t understand it all, but I’m going to use Kindness Day as an opportunity to expand his self-centric horizons. 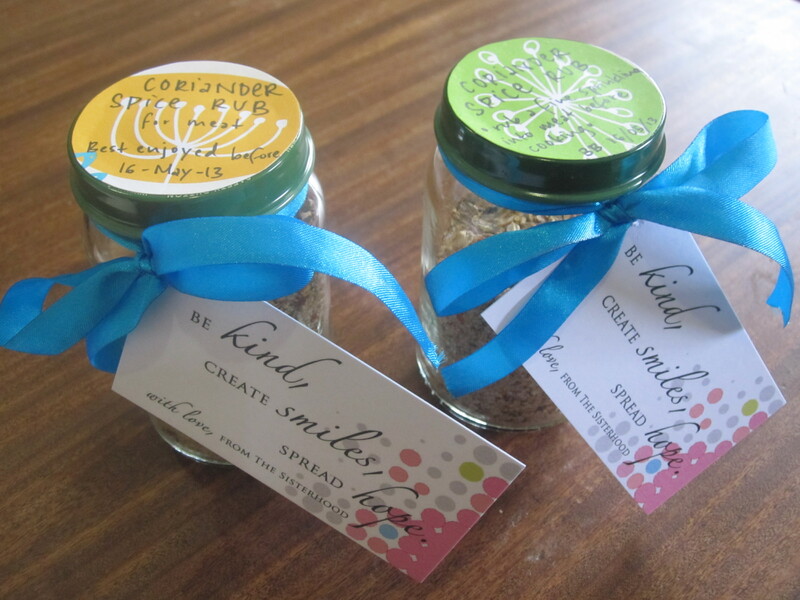 Are you planning on joining us in being extra-kind on Saturday? Check out The Sisterhood Facebook page, or click on the image below for ideas, or to share your own. So you know how I’m part of The Sisterhood? Well, Sophie and The Sisterhood are in the running for the AMP $10,000 Peoples Choice Scholarship, which is awarded to kiwis with “great ideas”. And if you’ve been following along with what we’ve been up to, I’m pretty sure you’ll agree that The Sisterhood definitely fits into this category. Imagine what we could do with $10,000??? 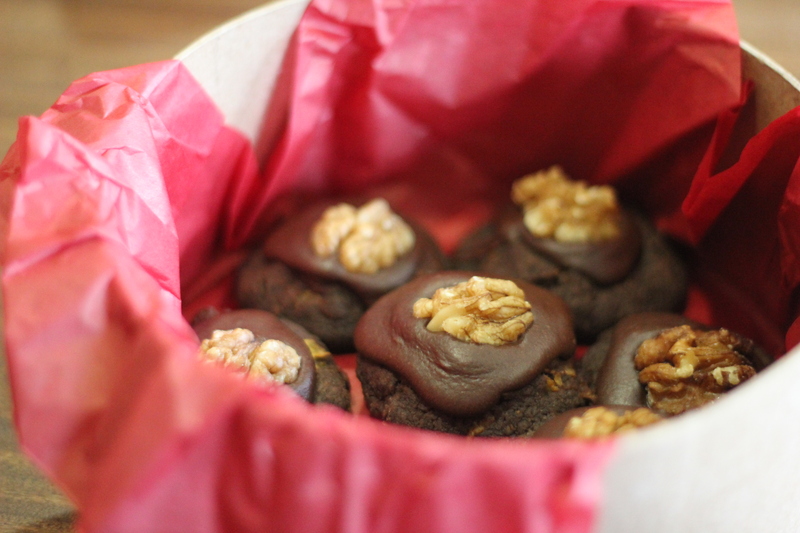 Think of all the deserving women who could be loved on, or ninja-cookie-bombed….exciting prospect, right? So now, I’d like to take the liberty (hey, it’s my blog!) of asking you to take just two seconds to vote for The Sisterhood. The scholarship is under the name Sophie Laughton-Mutu. More deets can be found on The Sisterhood Facebook page and on Sophie’s blog, Sophie Slim. Voting closes 30th September, so please please PLEASE head over to the voting page now and show your support. 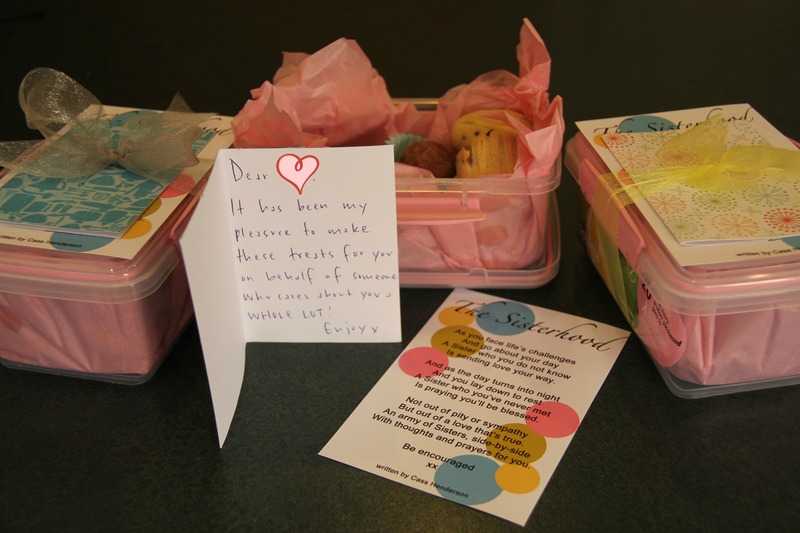 On Saturday and Sunday, unsuspecting women all over New Zealand would have wandered out onto their front doorsteps or out to their mailboxes, only to find a little package of love, stealthily left by an unknown ninja. Hopefully they would have no idea of the ninja baker who’d been crafty in their mission, or how they came to be the recipient of such sweet, sweet (or savoury!) goodness. 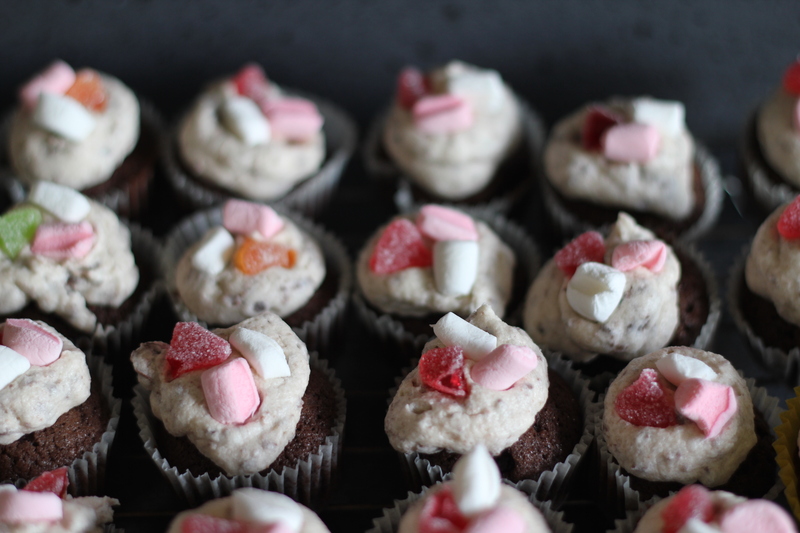 On Friday, I spent the day baking for the three women I had the pleasure of ninja-baking for. I lined trays and pans. I creamed butter and sugars. I sifted flours and cocoa powder. I folded and spooned and flattened. I cooled and iced and decorated. I made a delicious, powdery mess all over the bench, the floor, and myself. 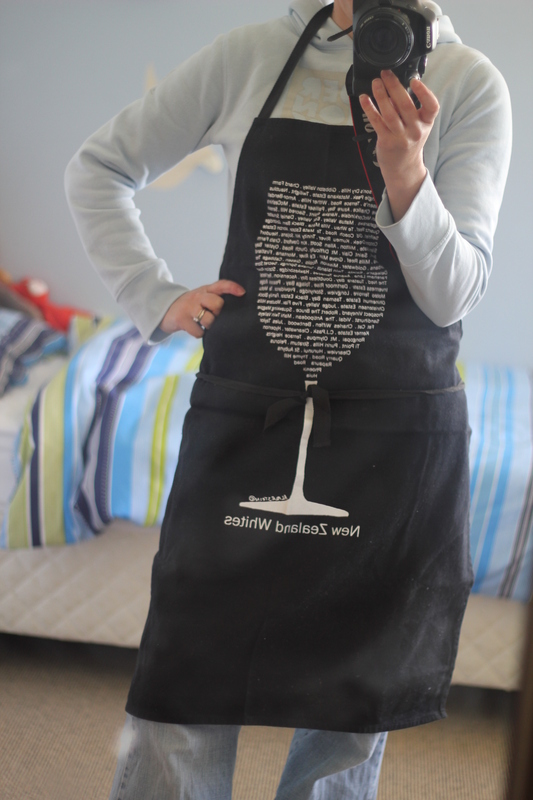 For once, I didn’t burn myself on the oven or the trays. I danced to terrible radio music and let Tiny lick the beater for the first time, and the smell of good things baking filled the air. 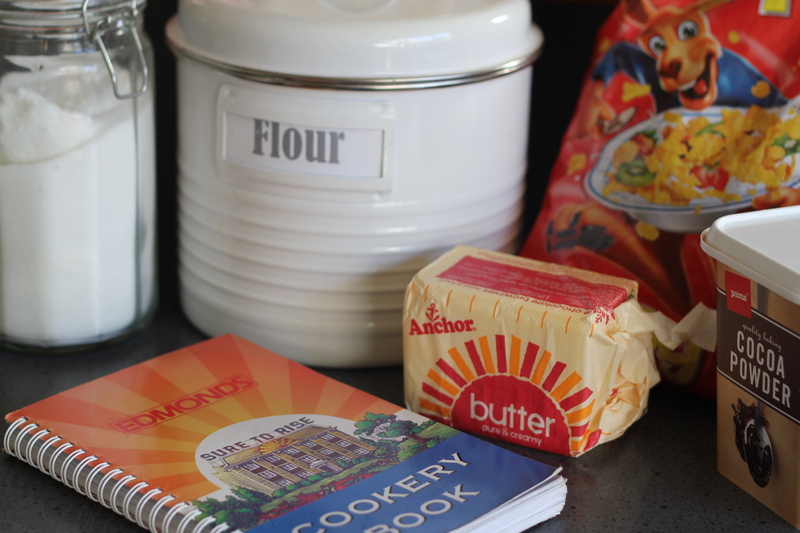 When everything had cooled and set, I packaged them up with love and care, attaching recipes and poems with brightly coloured ribbons. And I gleefully planned my ninja attack. Should I wear black, and a ninja-style mask over my face, in case I was spotted? Should I go for the safe option of the letterbox, or be bold and try for the front porch or by the front door? Should I run like the wind if approached, or calmly try and fudge my way out of it? When I received my email from HQ with the details of my ladies, I breathed a sigh of relief that I knew none of them, and that they wouldn’t know me. I had envisaged dropping baking off at a friend’s, and being seen, unable to think of a viable excuse as to what on earth I was doing. On Saturday morning, I was in the car just after 9am, off on my first drop. I took Pickle as my look-out. He fell asleep on the job. As I approached the first house, I felt nervous butterflies begin to flutter in my stomach. What if I’m seeeeeeeen??! I squealed silently. It was a house down a driveway, with the letterbox at the road-front. YUSS! Second house – curtains closed. Sweeeeeeet. Still, I drove away as fast as I possibly could, just in case. Third house….I drove up slowly but inconspicuously; seeing no lights on in the front rooms, and no one in the front yard, I leaped from the car, dashed madly across the road, slid the package carefully into the letterbox and raced back to the car. And then, I drove all the way home with a big, goofy grin on my face, and a little dance in my heart. To see what other ninja sisters baked, and to read the reactions of our deserving nominees, visit The Sisterhood on Facebook: warm fuzzies guaranteed!! The Sisterhood are at it again! When the next parcels are delivered to our latest Bombees, the ladies’ reactions might go something like this…. She’ll see the return address and once more check the recipient details, positive that there must have been some kind of mistake. 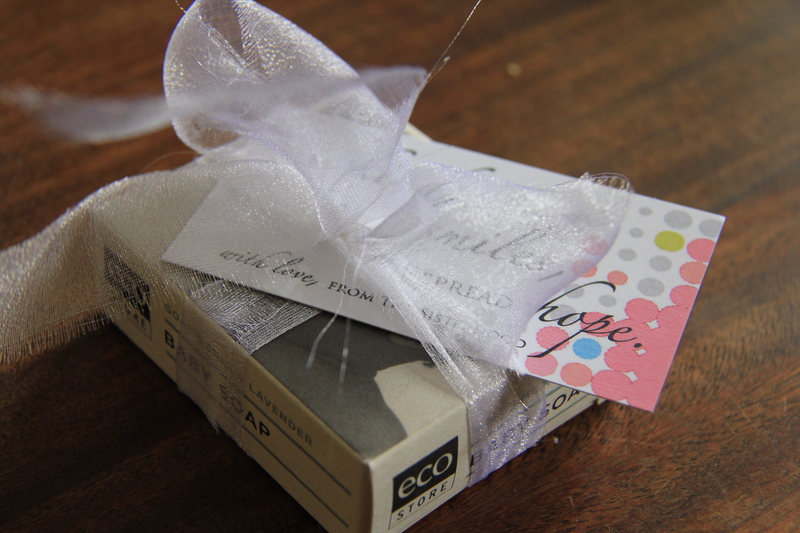 She’ll open the package with trepidation; she’ll feel slightly confused and more than a little excited. She’ll see all the goodies inside – chocolates and pretty things and delicious smelly things – and her frown of disbelief will turn into a smile of complete and utter joy. She’ll read The Sisterhood poem and her heart will begin to smile. She might not share your faith or beliefs, but she’ll gratefully accept your prayers, thoughts and blessings in the spirit in which they are given. And she’ll sit back, with tears on her cheeks, your messages clutched in one hand, and her heart in the other, and she will feel the love that can come only from her unknown Sisters. 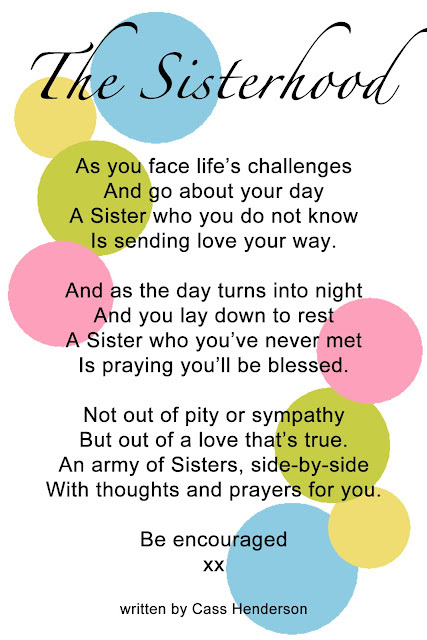 I know, because as a Sister, I sent a little something and many thoughts, in our first ever Love Bomb. And I know, because somehow, I was the lucky recipient of one of these packages of sunshine sent through the mail. I am still overwhelmed and so humbled (and thrilled at the timing – the parcel arrived the day we brought Pickle home from the hospital!). Every day when I see that poem and the lovely words, I can’t help but smile and feel loved, supported and spoiled by wonderful women I have never had the privilege to meet. If you were a fellow Sister who gave something to the Love Bomb Part One, please know that every. single. thing you sent was perfect, amazing, wonderful, fantastic, generous and greatly appreciated. *and growing by the minute!